So, like, I know it's totally been a couple months since we last posted. And of course you're all waiting with bated (not baited) breath for our next update. Well, your long months of patience has paid off! Without further ado, here are a few highlights of the past few months. 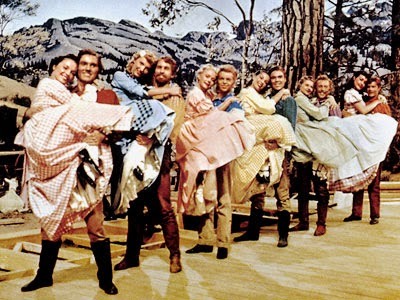 Beth has been on a musicals kick, and like any good Alleman household, we have a few Rodgers & Hammerstein on hand, including Seven Brides for Seven Brothers. During the show, Beth asked, "Why are all those boys after all those girls?" Eric, in his wisdom, sagely explained, "Because boys are like monkeys and girls are like bananas." Truer words have never been spoken, Eric. "Does the Lego Movie count as a musical?" 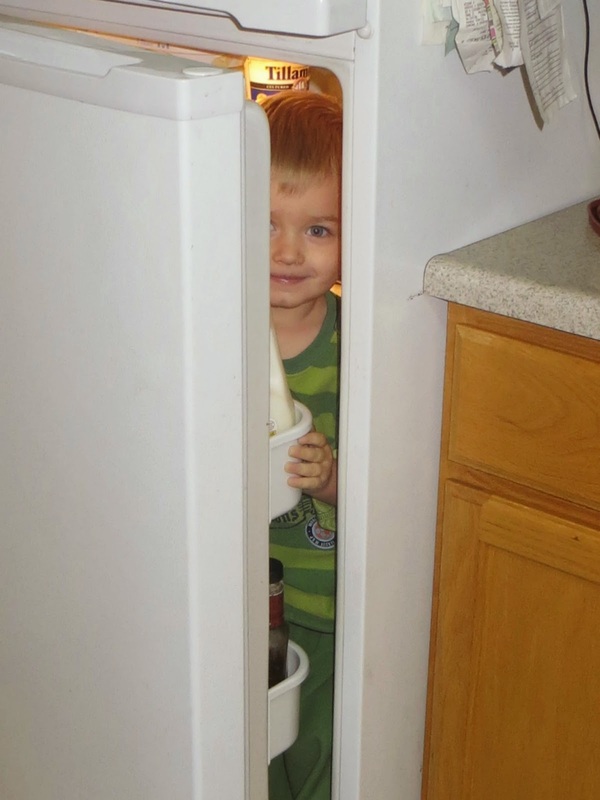 His favorite hiding place: the fridge. "My two favorite pastimes: hiding and snacking." His favorite snack: what's up doc? "A princess dress is suitable for ALL occasions." 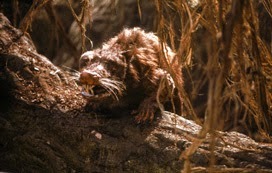 So, in the Princess Bride, the Fire Swamp is infested with R.O.U.S.s, or Rodents Of Unusual Size. In our house, we discovered B.I.O.s, or Boogers of Indeterminate Origin, or boogers that wind up getting wiped on the wall and none of the kids will claim them. "It's not mine, I swear." We shipped a few items home for Christmas, and UPS didn't skimp on the Styrofoam packing peanuts. Naively, Cassie and I left the boxes full of peanuts lying around the house.